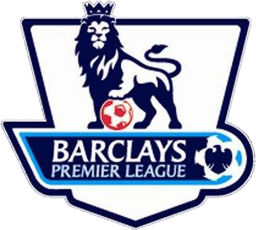 PremierLeaguePass.com is the new official online home of the 2014 - 2015 Barclays Premier League Football/Soccer. The new website allows subscribers to watch every single match of the entire Premier League season in perfect HD quality online - LIVE and on-demand! There will be over 1000 hours of Premier League content available for streaming in continuous, uninterrupted playback. The Premier League Pass website has also been specifically designed to be compatible with streaming all of the latest Premier League action to multiple Internet-connected devices including your PC , Apple TV, Tablets and Smartphones. HOWEVER, as you may already know, this totally fantastic service and coverage of the upcoming football season service is only available in New Zealand, Taiwan and the Philippines???? But relax Premier League Football fans, we are about to show you the easiest and best possible way to bypass those pesky geo-restrictions so you can access and watch all of the games on PremierLeaguePass.com when you happen to live outside New Zeland, Taiwan or the Philippines. Step 1: Visit www.smartdnsproxy.com and get your FREE account. Smart DNS Proxy offers all users the chance to create a TOTALLY FREE trial account to use the best and fastest method for unblocking Premier League Pass. 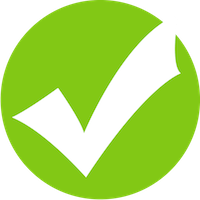 Quite simply, Smart DNS Proxy will supply you with the best and most reliable streaming capabilities you are going to find anywhere on the net - something that is essential if you are a true Premier League fan. Step 2: Follow our very simple and easy-to-use instructions and setup your device. Once you have created your free trial account, you will be given simple directions to install Smart DNS Proxy on any of your favorite Internet connected devices including your PC, Smartphones, Apple TV, Amazon Fire TV, Kindle, Gaming Console and most other Internet capable devices. Step 3: Visit the official PremierLeaguePass.com and choose your subscription package. PremierLeaguePass.com offers you different subscription options which vary in price. So you will need decide which package suits you best. Step 4: Get yourself a calender to schedule all of the 2014/2015 Premier League Matches you will be watching online this season! Once you have successfully followed the first 3 steps above, you should now be eligible to watch every single game this Premier League season from the comfort of your own home (or anywhere else where there is an Internet Connection). www.smartdnsproxy.com (a brand of Global Stealth Inc.) are technological pioneers when it comes to developing and providing secure global internet security, data encryption and anonymity services. We have been creating innovative technology solutions since 1995 and have been used by important employees of many fortune 500 companies such as Microsoft, Apple, IBM, BP, Shell to keep their sensitive data/information secure and encrypted while on the net. www.smartdnsproxy.com have sophisticated Smart DNS Proxy servers strategically located all around the world. That means we are able to offer users of our service the ultimate viewing experience when streaming or downloading any type of digital content through our Servers. 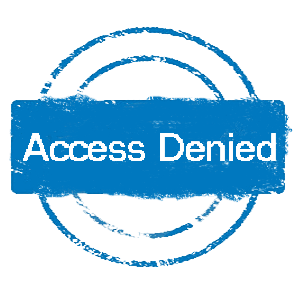 SmartDNSProxy.com is quite simply the best possible way for you to access blocked or restricted content from websites such as YouTube, FaceBook, Twitter, Netflix, Hulu, Pandora, BBC, Spotify (+ many more blocked sites). Our system is also compatible and extremely easy to use with all of your internet capable devices such as your Laptop, PC, Mobile Device, Kindle Fire TV, Apple TV, etc. Click the following link and get your FREE trial of SmartDNSProxy now!